﻿ What is the Diversity Immigrant Visa Program All About and When is the Next Application Period? The Diversity Immigrant Visa is a United States government lottery program for receiving a United States Permanent Resident Card. Also known as the Green Card Lottery, the program is administered each year by the Department of State and requires all applications to be submitted by a specified date, and to a designated internet site. Winners are chosen by a computer-generated, random selection process from all the fully completed applications. Being selected in the lottery process does not mean an automatic visa for participants. It does, however, allow them to apply for one. Those selected must successfully complete additional steps and be interviewed before the final determination is made. Established by the 1996 Immigration Act, the current Diversity Visa (DV) program was created to diversify the immigrant population in the United States by selecting applicants from countries with low numbers of immigrants who came to the U.S. in the previous five years. The goal of the program is to help create immigration opportunities to under-represented ethnic groups. 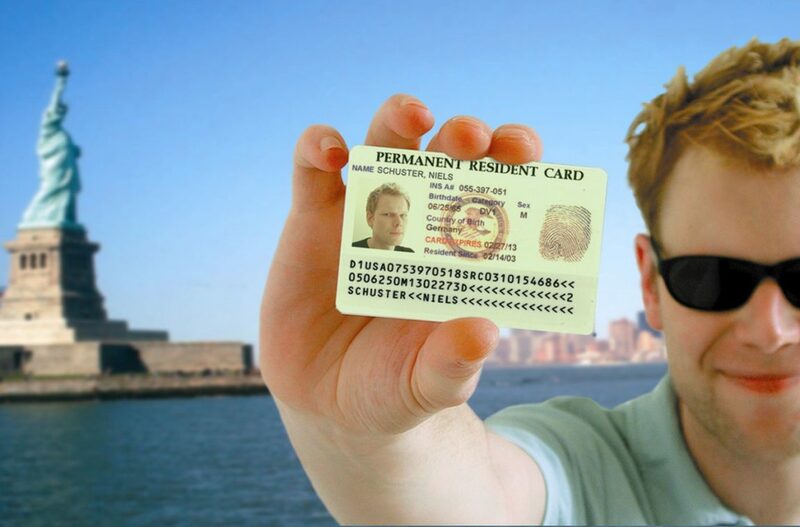 Winners of the Diversity Immigration Visa and their families are authorized to live, study, and work in the United States of America as permanent residents. There are a total of 50,000 Diversity Immigrant visas available annually. This year’s (2018) Green Card Lottery Program is called DV-2020. The “2020” indicates the time when successful applicants can enter the U.S. which will begin in January of 2020. Applications are only taken through an on-line designated web site and require a photograph of the applicant. If a digital photograph of the applicant is not available, the applicant can however, mail in his or her photograph to complete the process of the on-line application. All DVD-2020 applications with current photo must be submitted before October 15, 2018. To be eligible to enter the Green Card Lottery the applicant must be a native of a qualifying country. Lists of the qualifying and non-qualifying countries are shown on the designated website. The applicant must be a foreign citizen or national, not born in the United States of America, and from a country with a low immigration rate to the U.S. Eligibility is determined only by the country of birth, it is not based on country of citizenship or current residence. If the applicant was born in one of the non-qualifying countries, he or she may still be able to participate in the Diversity Visa/Green Card Lottery based on the country of birth of their parents or spouse. In addition, the applicant must have completed a U.S. High School education or a foreign equivalent of a U.S. High School education. Or, the applicant must have worked in one of the occupations shown on the designated website for at least two years within the last five years. Proof to satisfy these requirements is not submitted when applying to the US Diversity Visa Lottery, but will be required by a consular officer after selection in the draw and when the individual formally applies for permanent residence. It is important to know that individuals who do not meet the two requirements outlined above, should not apply for a permanent resident card in this Diversity Immigration Visa Program, since they will be disqualified. The next selection for DV2019, which is for those that applied last year, will be announced in the spring of 2018. DV2020 selections will be announced in the spring of 2019. If selected by the lottery, those green card interviews will be conducted at the Embassy closest to where the applicant lives. Again, selection does not guarantee a visa. Selectees still must meet all eligible requirements under U.S. law. President Trump is calling on Congress to shut down and dismantle the Diversity Visa Program. If you or a family member is considering applying to the DV2020 program and have questions about how to locate the proper website and as to how you can change your eligibility to either your spouse or parents country of birth, contact FES Immigration Law. Or if you have been notified that you have been selected for DV2019 and need to consult regarding that, seek advice from us. We are here to listen to you and your family’s objectives and can help guide you through the process. Call us today at (813) 530-5992. What is “Chain Migration” and Which Family Members are Eligible?What are the Advantages of Becoming a U.S. Citizen?